I now know they're called Mexican Wedding Cakes, Russian Tea Cookies, Snowballs or sometimes Sandies, but that's not what matters. What matters is how that cookie made me feel. That cookie, no matter what you might call it, sent me on my journey. That first bite into the powdered sugar dome revealing the signature melting, crumbling texture of the cookie beneath was instant adoration, but that bite also instantly drove me to have to know how it was made. I wanted the knowledge of how to recreate it. Since then, pastry has always been my obsession. I've never been able to pass a bakery window and not stop to try at least one offering. Excellent food is always enjoyed, but baking creates memories. You may not remember what you had for your birthday dinner, but you'll remember the cake. It may be difficult to recall all the nuances of an incredible meal, but the dessert provides that lasting impression. At johnjeanjuan, my goal is to create that special memory for every client. You may not be obsessed with learning how to make them, but that's okay. That's my job. Flour, eggs, sugar and butter can be combined in a myriad of different methods to produce thousands of unique pastries, but ingredients matter. At johnjeanjuan, we know that the highest quality ingredients are what transform simply good pastry into a great experience. Flour, eggs, sugar and butter can be combined in a myriad of different methods to produce thousands of unique pastries, but ingredients matter. At johnjeanjuan, we use only Gold Medal, Pillsbury, King Arthur and Bob's Red Mill flour products. The eggs are organic and the sugar is always cane, never beet sugar and the butter can have no less than 82% butterfat content. 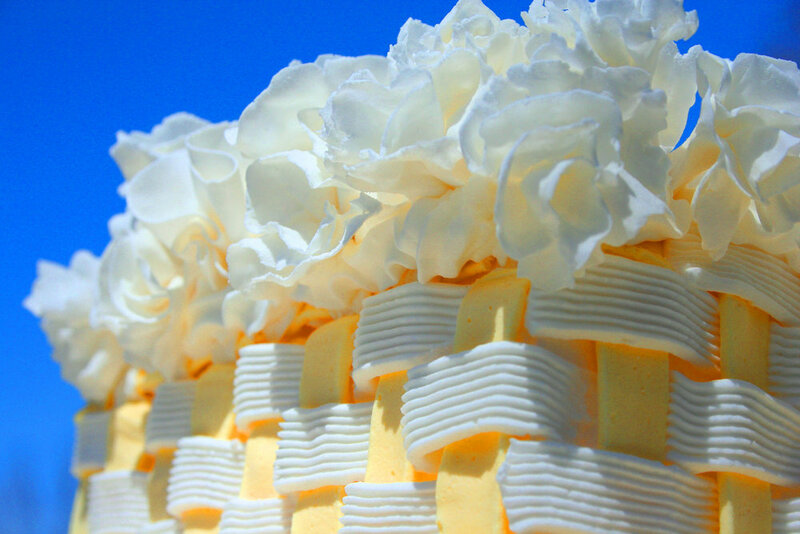 You won't find shortening in our Italian Meringue Buttercream and not an ounce of corn syrup in our cakes. We use Callebaut and Valrhona Chocolate and the finest Madagascar Vanilla. One may wonder why specify particular ingredients, but at johnjeanjuan, we know that the highest quality ingredients are what transform simply good pastry into a great experience. And remember, no one rewards themselves after a hard day with Kale. Quality can be subjective, but excellence is not. Pastry is our obsession and our job. At johnjeanjuan we are more than just delicious desserts and a down-home philosophy. We are artists, caterers, and professionals at every level.